Microsoft is opening two new hyperscale cloud regions in Canberra, to be located within Canberra Data Centres (CDC). The two regions – Central 1 and 2 – are aimed squarely at government and its suppliers, and will double Microsoft’s available regions in Australia, adding to those in Sydney and Melbourne. Both the new regions are due to be available in the first half of next year. 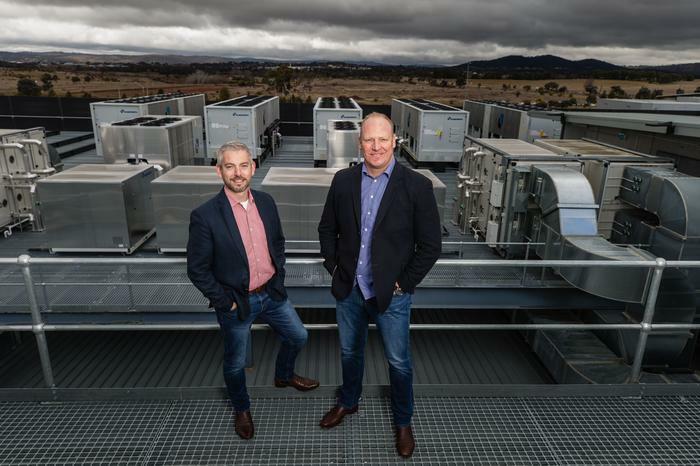 Microsoft’s expansion into Canberra will be the first time public cloud services from a major provider are located in the same highly secure facilities as some of the nation’s most sensitive data, the company said. “Government is one of the biggest consumers and producers of data, and that data lives in CDC for the most part. If we can bring hyperscale cloud into the same data centres, where government data lives, we can have secure networking between them, we can have all of the capability of CDC from a physical and personnel and security perspective – we can help government really accelerate innovation and the modernisation of services,” James Kavanagh, principal program manager, Microsoft Azure ecosystem engineering, told Computerworld. The new regions will initially offer core Azure services, with plans to expand the offering. Government agencies will also benefit from CDC’s Intra Government Communications Network (ICON) connectivity. Microsoft expects the regions will be able to service data classified at the Protected level and for the services to eventually be added to the Australian Signals Directorate's Certified Cloud Services List. Approval for an expanded range of Azure cloud services to handle Unclassified data was issued in June. Work towards achieving the approval began two years ago, Kavanagh explained. “It’s a very intensive process to go through what it takes to do Protected assessment. It’s years of work. It’s full time engineering teams assigned to it. For us it is massive amounts of investment, of time and energy and willingness to listen to changes and adapt to requirements,” he said. The assessment process for Protected certification began at the same time as for Unclassified certification which was granted earlier this year. The assessment involves Microsoft proving its products meet close to a thousand distinct security controls laid out in the ASD-maintained Information Security Manual, before the claims are verified by independent IRAP assessors and multiple ASD reviews. Microsoft is quietly confident it will gain Protected certification. IRAP assessors Shearwater concluded their report with a positive recommendation of Protected Certification for a range of services in both Microsoft Azure and Microsoft Office 365. The two CDC campuses – in Fyshwick and Hume – are the only commercial data centre facilities in Australia with the security controls and Defence accreditations needed for the handling of Top Secret government data. ”You can’t download the manual on how to run a secret building! We’ve built Canberra Data Centres from the ground-up over 10 years with a singular purpose to be the most trusted, flexible and resilient platform for government innovation. CDC is the only place where you can consume Protected cloud today” CDC CEO Greg Boorer told Computerworld.